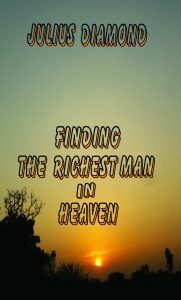 Finding the richest man in heaven is one of those books that you will not want to put down. Like fresh provender from heaven, the book is masterfully and beautifully written, full of wise direction, filled with life-changing applications and is simply a blessing to read. Author Julius Diamond dismisses darkness and guides in God’s glorious light by revealing perpetual biblical certainties about God’s intentions towards mankind from a biblical and practical perspective. I am really impressed with the dexterity the author brings to the book making sure to announce that all knowledge and wealth begins with God. This book will enable every reader to take hold of powerful kingdom truths. 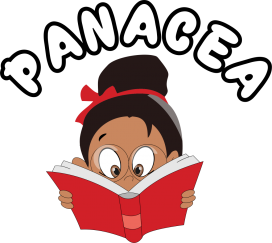 The book was carefully constructed through diligent meditation and instruction from God’s Holy Word. “Finding the richest man in heaven” will not only encourage you to go on a deeper walk with God, rather than chasing wealth, wisdom and reputation but also stir your heart to dig deeper into God’s precious Word. This book is a faith builder that will help to guide you into greater depths of God’s plans and purposes for the whole of mankind. If applied, the teachings in this book will not only change your inner life but also cause an inner awakening to be birthed within you. As someone who reads books authored by several with the same points of view, “Finding the richest man in heaven” opened my heart to some renewed and exciting realities about life and everything in it. If you desire a closer walk with God and the final prize (the everlasting crown) of the saints, then read this book and allow yourself to clinch the prevailing spiritual truths set forth. I have heard different speakers say a lot about how wealth and fame can be dangerous. It got to the point where I wondered, “is being rich and famous a crime”? These speakers either by poor delivery or due to inaccuracy did not explain why spending your whole life looking for wealth and fame is a dangerous path to follow. I can boldly say they are nothing compared to Julius Diamond’s delivery. This book has helped me expand my faith and provided me with fruit bearing seed from God’s Word. The book is predominantly backed up by another prominent writer’s work so-to-speak ( the book of Ecclesiastics) revealing to us exactly what the writer of the book of Ecclesiastics was trying to convey. Julius left no stone unturned, thereby, rending the main point of view of every money and power hungry human in the world as obsolete (which really got me thinking too). This book is an excellent read. It's message, obtained through sound biblical discernment built upon the scriptures that everything is vanity, or better still nothing lasts forever is a timely and important one. This is a must read for every believer seeking a deeper relationship with God and is a blessing to every human that reads.